The 38th Annual JPR Winetasting & Silent Auction, generously sponsored by the Ashland Food Co-op and Gastroenterology Consultants, takes place Thursday | February 7 | 6-9 PM at a brand new location, Ashland Hills Hotel & Suites, just off exit 14 in south Ashland. This new venue, still part of the Neuman Hotel Group, provides a much larger space for our event which has grown over the years. We look forward to having the many wineries, restaurants, and the Danielle Kelly Soul Project, plus Grant Ruiz and Dan Fellman playing flamenco guitars on the same level, as well as a much better location for our silent auction, and ample parking for guests. For those who choose to stay overnight, Ashland Hills Hotel & Suites offers newly renovated spacious rooms and suites featuring one-of-a-kind, retro-modern furnishings. Many rooms include private balconies with views of the surrounding Ashland Hills. 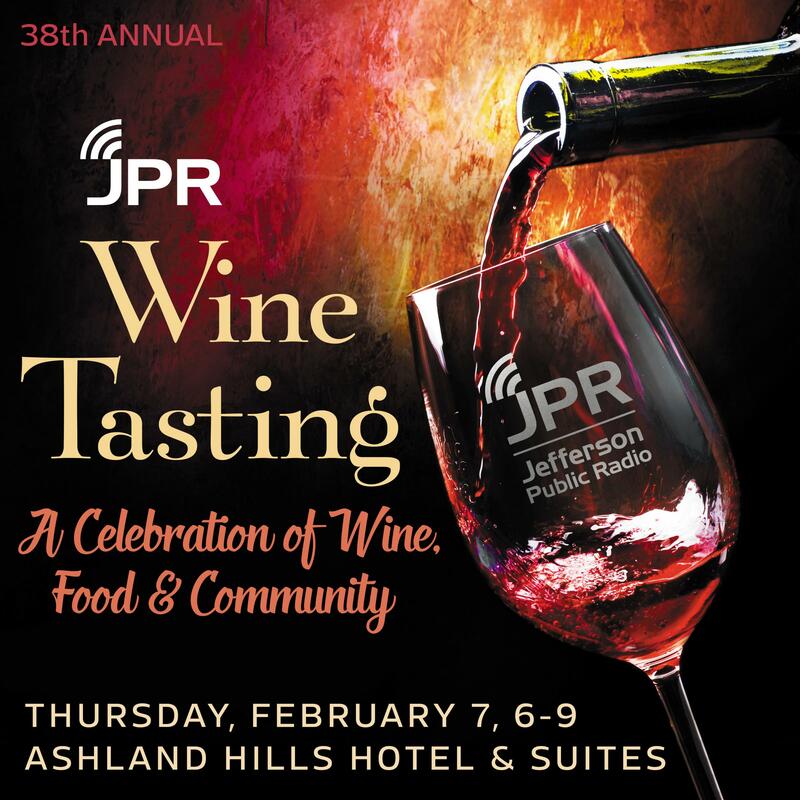 Regional food and award-winning wine from over 40 vintners will be in abundance and the Silent Auction tables will be filled with remarkable contributions from businesses and individuals in the JPR listening area. So arrive solo or bring a date, either way, join JPR and friends of JPR, for a spectacular night out! Ashland Hills Hotel & Suites is offering JPR Wine Tasting guests discounted overnight stays starting at $79. Call 541.482.8310 for details.